Every culture has its own stories and legends. These stories are often handed down from generation to generation. Sometimes, though, a story comes in a different way. The legend of Hans Brinker, the boy who saved Holland is a famous story told in America about Holland. But it didn’t come from Holland and most people in Holland don’t know about it. 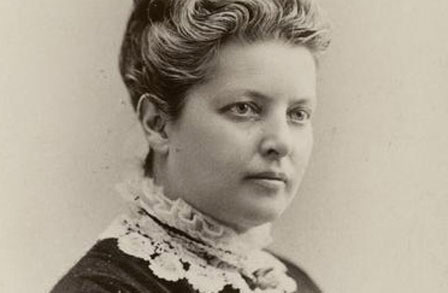 An American writer, Mary Maples Dodge, who wrote Hans Brinker or The Little Dutch Boy Who Saved Holland story in 1865. This story is not an authentic Danish legend. The dikes of Holland are made of sand and clay. If a dike starts to crumble, sticking your finger in it won’t help much. People love this story because it celebrates a young boy’s bravery. 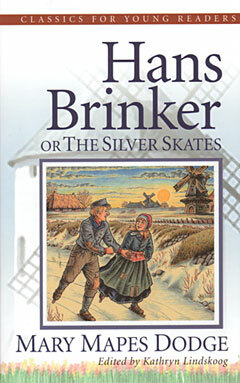 This story is also called “Hans Brinker” or “The Silver Skates”. One day, a young boy went to visit his blind, elderly friend, Mr. Janssen. After a pleasant visit, he started walking home. On his way, though, he was distracted by the flowers, the butterflies and the birds. He played for many happy hours near the dikes that ran by the road. The dikes were large walls that held back the sea. Every child in Holland knows that if the dikes break, water will rush in and all will be lost. Hans was so busy playing that he didn’t notice the sun setting. When he realized how late it was, he speedily headed for home. On his way, though, he heard water trickling. There in the dike was a small hole. Hans knew that left untended, the hold would grow larger and the sea would come crashing through. He quickly put his finger in the dike and cried for help, but alas, no help came. All night long, Hans sat there with his finger in the dark. He was very cold and very frightened. In the morning, a priest came along the road and heard Hans’ moans for help. The priest quickly called for others to come and repair the dike and he carried the boy home. All the people cheered for Hans, the boy who saved Holland. Enjoyed the Earth Science for Kids All About The Little Dutch Boy Who Saved Holland info? Take the FREE & fun The Little Dutch Boy Who Saved Holland quiz and download FREE The Little Dutch Boy Who Saved Holland worksheet for kids. For lengthy info click here. Declan, Tobin. " Fun Little Dutch Boy Who Saved Holland Facts ." Easy Science for Kids, Apr 2019. Web. 23 Apr 2019. < https://easyscienceforkids.com/all-about-the-little-dutch-boy-who-saved-holland/ >.